Have you ever wanted to get botox, but aren’t into the idea of large needles and spending absurd amounts of money? I have your solution, and it comes from brand Bioxidea USA. Bioxidea is a company who’s top priority is fighting signs of aging while rejuvenating your skin. The skincare company not only targets your face, but they have a line dedicated to nearly every part of your body : hands, feet, even your chest – yes, apparently that needs some loving too! I was lucky enough to be able to test out some of the companies best products, plus a few extra goodies! Here are some of my favorites and I seriously urge you to test them out. 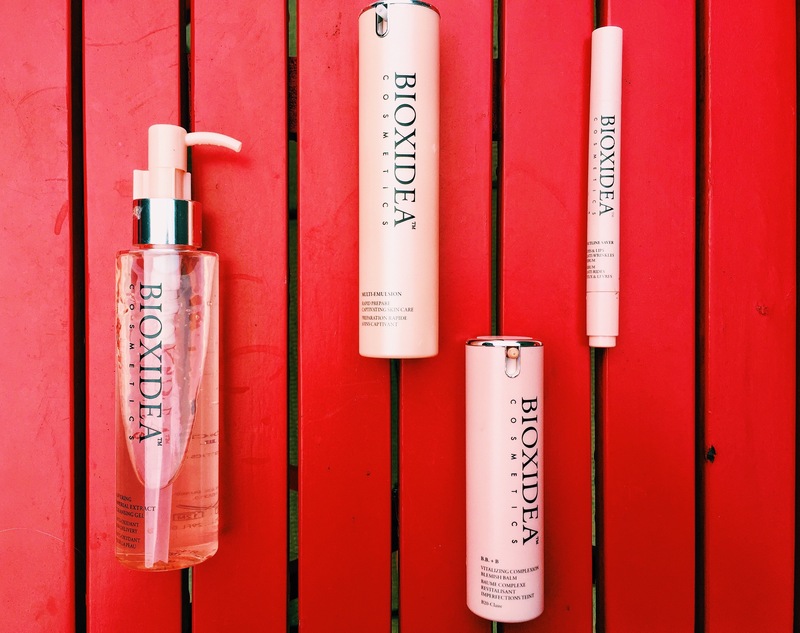 Using a Bioxidea product is like getting a facial, skin boost and botox all in one little perfectly packaged package ! 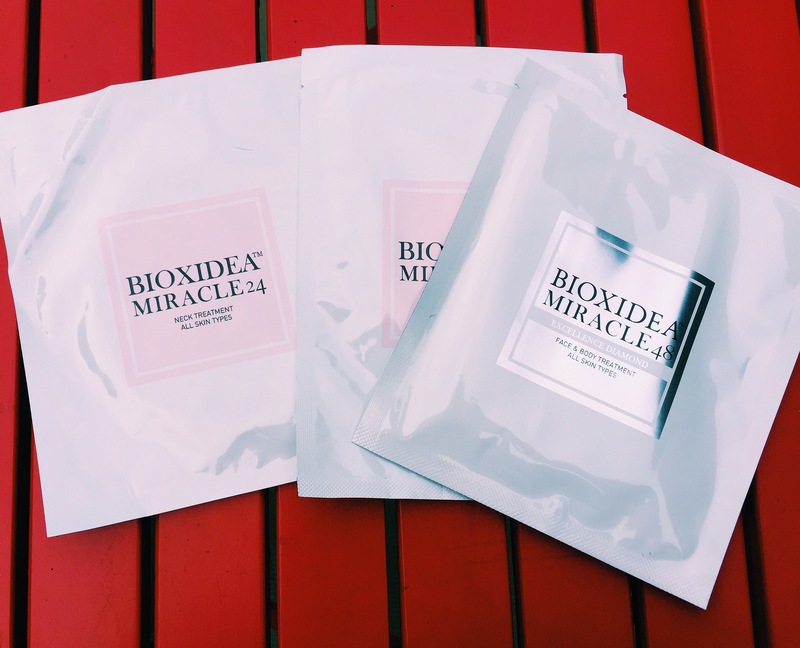 Bioxidea Miracle 24 : First up on the line up – this all treatment mask can be used on any skin type – all this low maintenance but very effective mask requires is 15-30 minutes of your day. Open the package, lay down, put on some relaxing tunes, place the mask on your face and let it work its magic! An hour after using my skin felt tighter, softer and more luminous. I used before going out for the night, my skin definitely glowed a little more, people noticed and I felt confident with my appearance. The Miracle 24 line inclues masks for your : Face, Neck, Hand, Feet and Breasts. Miracle 48 Mask : My favorite mask in the whole line ! 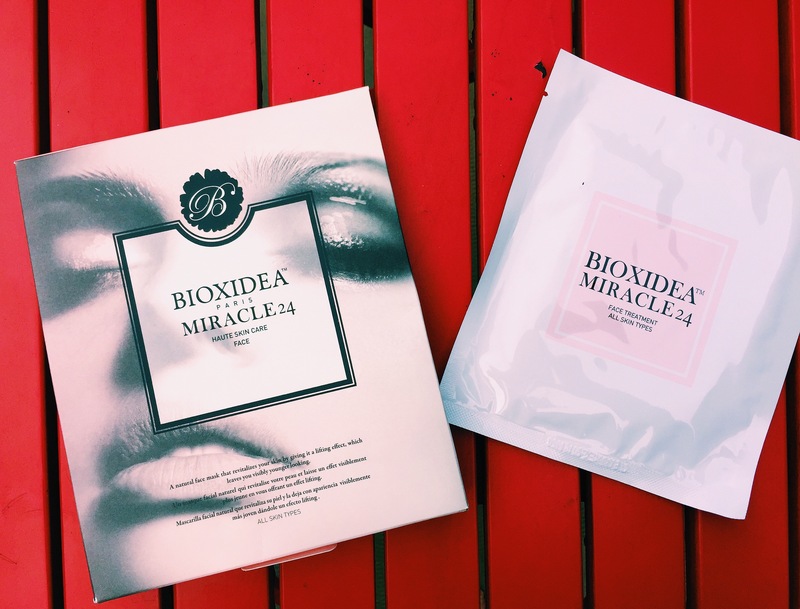 What I love most about the Bioxidea masks, besides the results they give, is the texture of the mask. 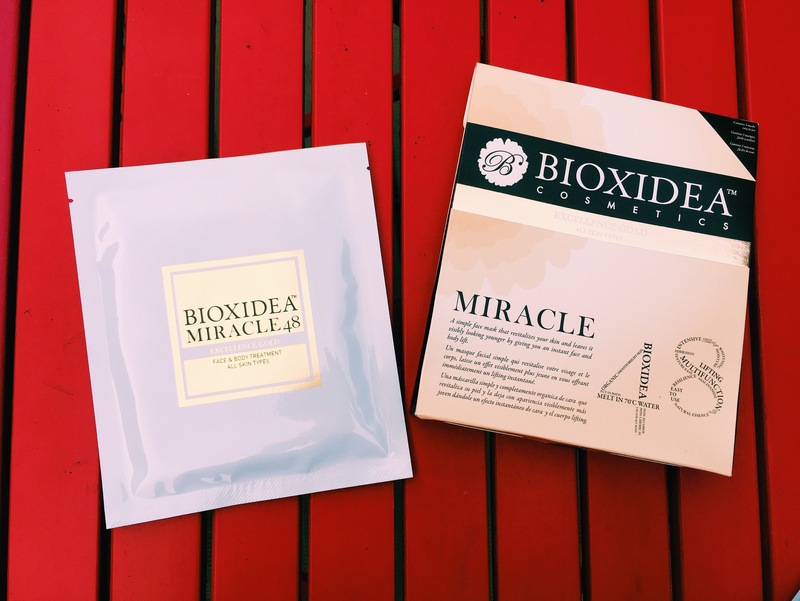 Most sheet masks are thin and remind me of a wet Kleenex – the Bioxidea mask is made of a gel type material that not only feels refreshing on your face, but its easy to apply and really sticks on your skin. The Miracle 48 Excellence Gold Mask acts as a two part product – first on your face as a anti-aging, rejuvenating mask and then can be disolved in your bath water to soak nutrients in your skin as a booster. After using the mask, my skins elasticity felt so much stronger and the gold tint to the mask left my face shimmering and healthy looking. Bioxidea B.B Blemish Cream – Proving the brand does so much more than just body masks. The B.B Cream has become a staple in my morning routine. This cream seriously works overtime combating imperfections and acne, while providing light coverage and UV protection. The cream smells amazing and blends perfectly into skin, and is easily paired with a foundation to create a fresh faced look day in and day out. Covering Imperial Extract Gel – This face wash is great for daily use. A light gel based cleanser that targets dirt and make up that can be left in your pores. I love using it in the morning and before bed – it truly leaves my skin feeling clean and is gentle enough to be used daily.